Parker 86: This Banyuls 1976 has a youthful color. The nose is well-defined with mulberry, fig, damson, and marmalade that would suggest that it needs a few more years in bottle. The palate is sweet and rounded on the entry with a fine line of acidity. Hints of prune line the finish, but it needs a little more weight and viscosity to really make an impression. Banyuls is a French appellation d'origine contrôlée (AOC) for a fortified apéritif or dessert wine made from old vines cultivated in terraces on the slopes of the Catalan Pyrenees in the Roussillon county of France, bordering, to the south, the Empordà wine region in Catalonia in Spain. 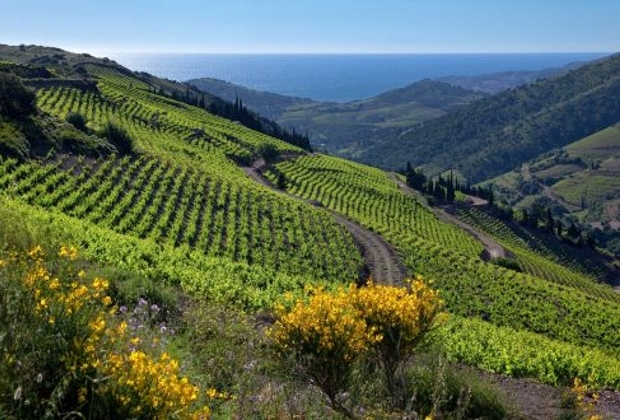 The AOC production area is limited to four communes of the Côte Vermeille: Banyuls (from which the AOC takes its name), Cerbère, Collioure, and Port-Vendres.The production process, known in France as mutage, is similar to that used to make Port.